EScience Press provides cloud hosting and professional website solutions for institutions/ organizations publishing scientific journals. EScience Press is committed to achieving the highest quality science to drive progress in research and innovation. We help our Member Organizations collaborate internationally on research programmers that we coordinate in almost every scientific domain. We provide services to the science community, Journal hosting, conference hosting, monograph press, digital libraries and archiving solutions. Escience Press offers support for academic staff/ institutions or organizations interested in setting up their own online journals. We provide both static and dynamic web support the publishing process, including submission, peer-review and online publication as well as secure archive for the content. EScience Press offers support for academic staff/ institutions or organizations interested in setting up their own online journals. We provide both static and dynamic web support to the publishing process, including submission, peer-review and online publication as well as secure archive for the content. 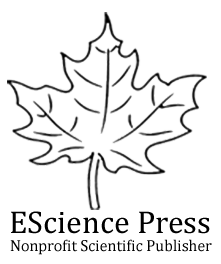 EScience Press provides solutions for starting monograph press for monograph publishing. We use Open Monograph Press (OMP) for providing online books/ monographs publishing platform. Open Monograph Press is an open source software platform for managing the editorial workflow. EScience Press provides wide range of services including designing conference website, registration, advertising, printing, production and post-publishing services for Scientific Conferences. The growing variety and increasing terabytes of digital content has revolutionized the way students’ access digital libraries/archives. Escience Press provides solutions through the open source digital library and metadata indexing system. We have digital library solutions with Flexible search interface. EScience Press provides solutions through the open source digital library and metadata indexing system. Flexible search interface allows simple searching as well as advanced and highly scalable searching using crosswalked fields from all harvested/indexed archives. Advanced searching of archives that share the same schema will be possible using fields as defined in the schema. EScience Press provides professional Web Design and Web Development Services to add value to your business. We’re passionate, innovative, dedicated team mixing quality design with effective Web Solutions. We are flexible, adaptable and immediate, and we love the possibilities of the Information Technology and what it could do for you to add value to your business.